Hello! 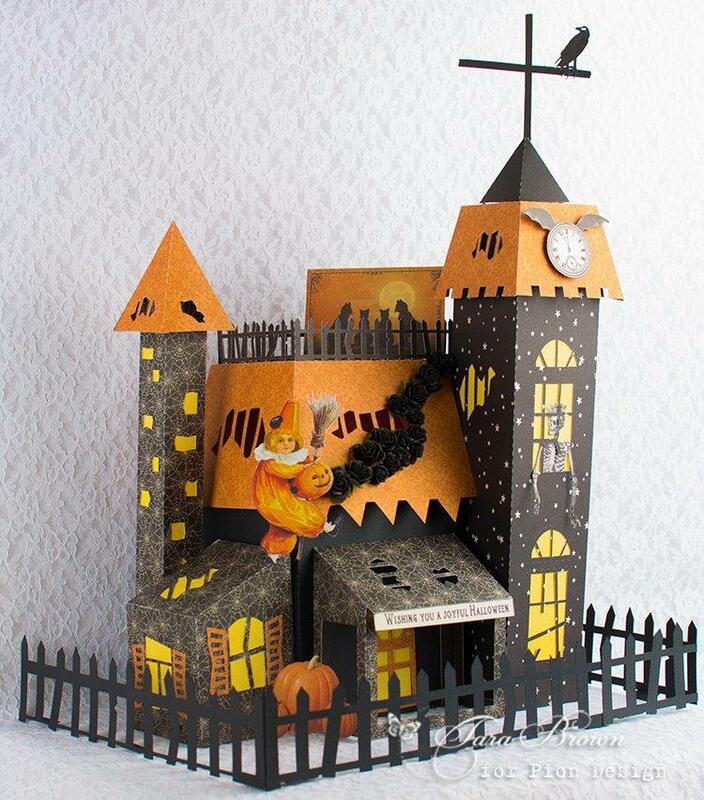 I used papers from The Witching Hour to make this spooky Halloween display. At night, battery tea light candles placed inside the house give the project a soft glow. The cutting file for this project is by Pazzles and can be found here. This holiday collection is extra special, just like all of Pion Design’s collections!